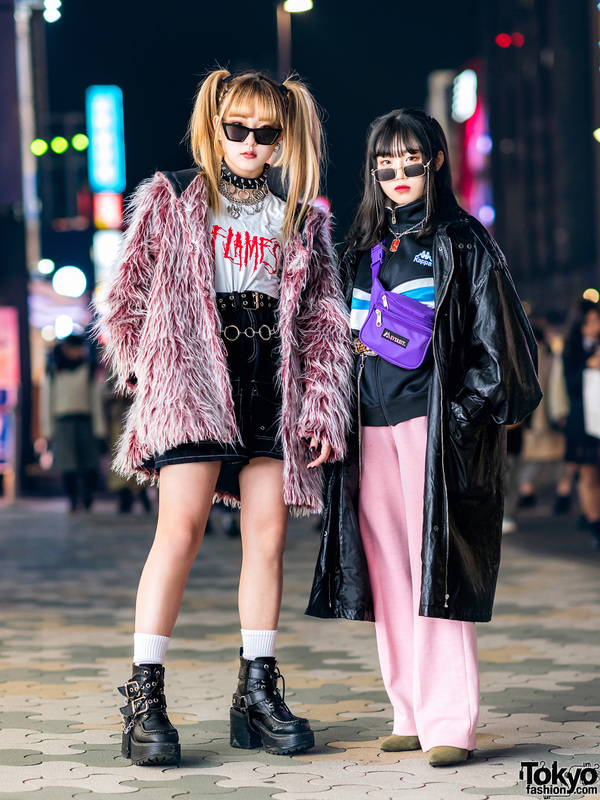 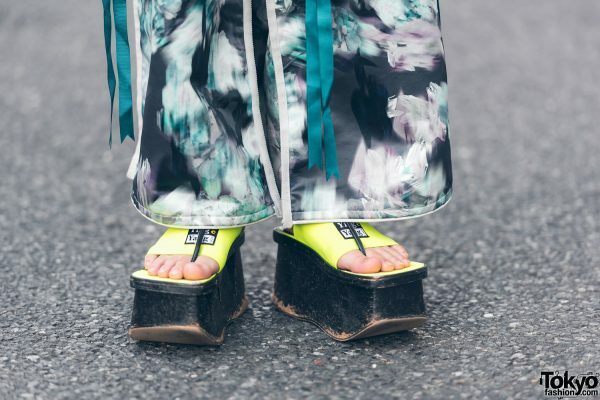 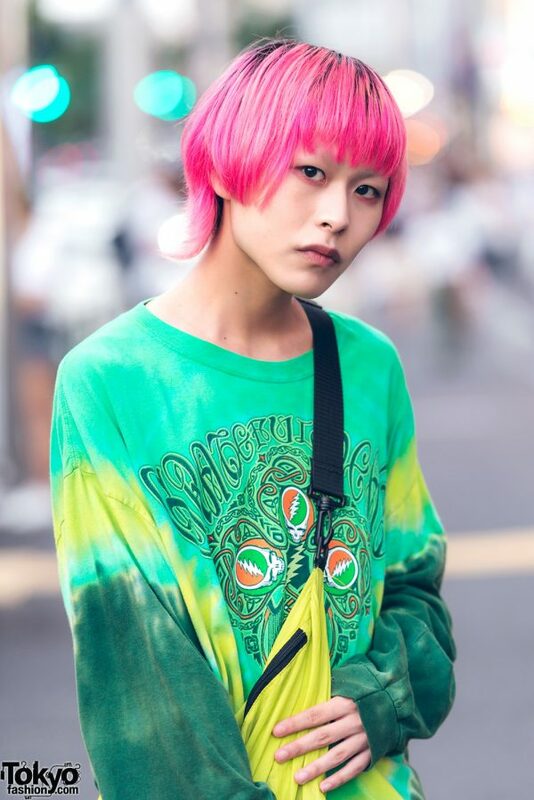 While walking on the street in Harajuku, we ran into Nosuke, a 19-year-old student and shop staff who caught our eye with his pink hair and green fashion. 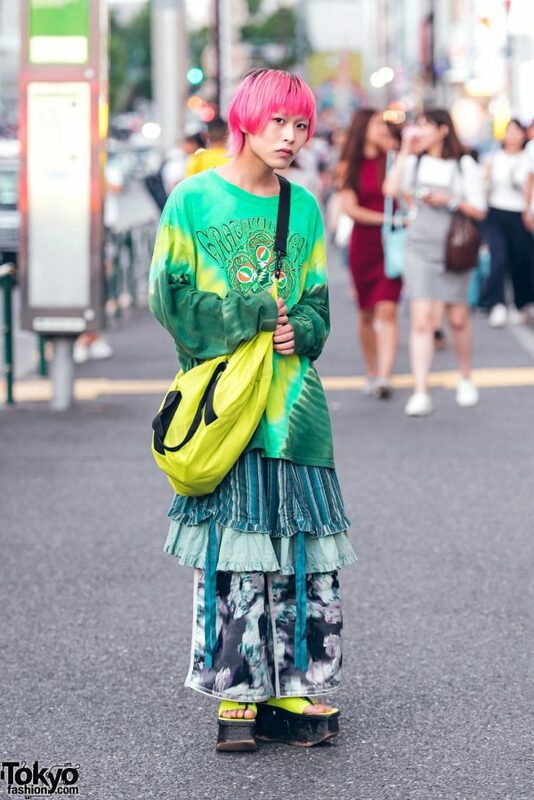 Nosuke’s ensemble consists of a green vintage Grateful Dead sweatshirt from WEGO, a ruffle skirt from the resale shop Kinji Harajuku over printed pants by the Japanese label Balmung, neon platform sandals from Dog Harajuku, and a Puma sling bag. 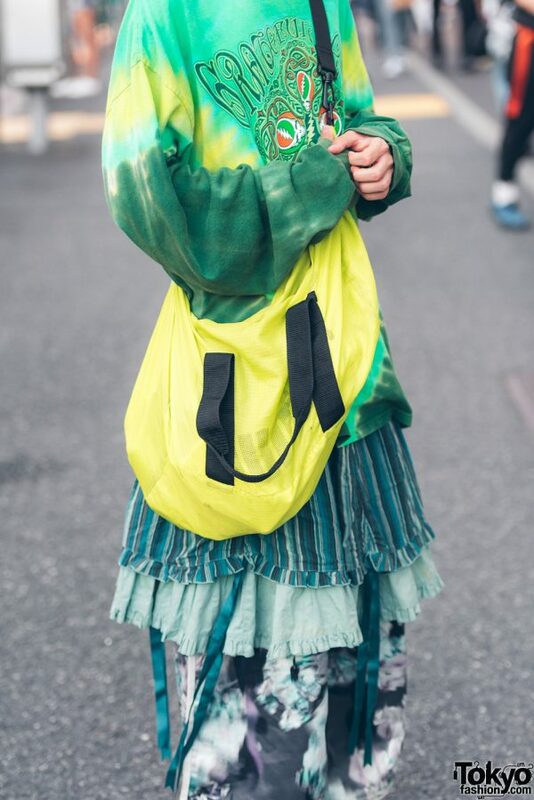 For social media updates, follow Nosuke on Twitter and Instagram.